We all know that pollution is bad for our health. The newspaper headlines are a constant reminder that there are toxins in our food and water supplies. Even the air that we breathe can be dangerous to our health. But did you know that pollution can age skin faster? It's true! But knowledge of this is important because it means that we can take steps to ensure our skin and complexions can look younger and be healthier. How does pollution age skin? Pollution, including smog and minute particles floating in the air, cause free-radical damage in the body, including in the skin. 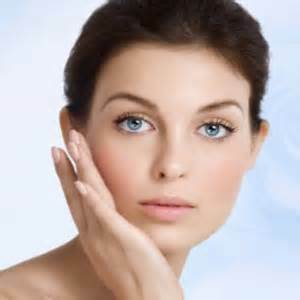 Free-radical damage damages collagen, the major building block of good, healthy skin. According to Joshua Zeichner, M.D., Director of Cosmetic Research in the Department of Dermatology at Mount Sinai Hospital, free-radical damage "leads to premature wrinkling and the development of darks spots." A landmark study in the Journal of Investigative Dermatology showed that women exposed to environmental pollutants have deeper wrinkles and 20% more dark spots than women who had less exposure. For decades, extrinsic skin aging has been known to result from chronic exposure to solar radiation and, more recently, to tobacco smoke. In this study, the authors assessed the influence of air pollution on skin aging in 400 Caucasian women aged 70–80 years. Skin aging was clinically assessed by means of a SCINEXA (score of intrinsic and extrinsic skin aging), a validated skin aging score. Traffic-related exposure at the place of residence was determined by traffic particle emissions and by estimation of soot in fine dust. Exposure to background particle concentration was determined by measurements of ambient particles at fixed monitoring sites. The impact of air pollution on skin aging was analyzed by linear and logistic regression and adjusted for potential confounding variables. What they found was that microscopic bits of soot (called nanoparticles) burrowed into the skin causing oxidative stress. This oxidative stress can damage DNA and prevent our skin cells have working properly. What's important to remember here is that people who live in the city are not the only affected - suburbanites and rural areas are also affected by environmental pollutants. This oxidative stress can damage DNA and prevent our skin cells have working properly. What's important to remember here is that people who live in the city are not the only affected - suburbanites and rural areas are also affected by environmental pollutants. Protect your skin from inside, out! One of the most effective ways to win against pollution is in your diet. Eat more antioxidant-rich fruits and vegetables to help minimize the skin damage caused by free radicals. Citrus fruits and brightly colored vegetables are the best, but you can also supplement with a good vitamin C source like Vinali. Click on this link for more information or to order Jouve. Next Post Next post: Anti-Aging or Lifestyle Change – Which Term is Best Used When Talking About Delaying the Onset of Diseases of the Elderly?